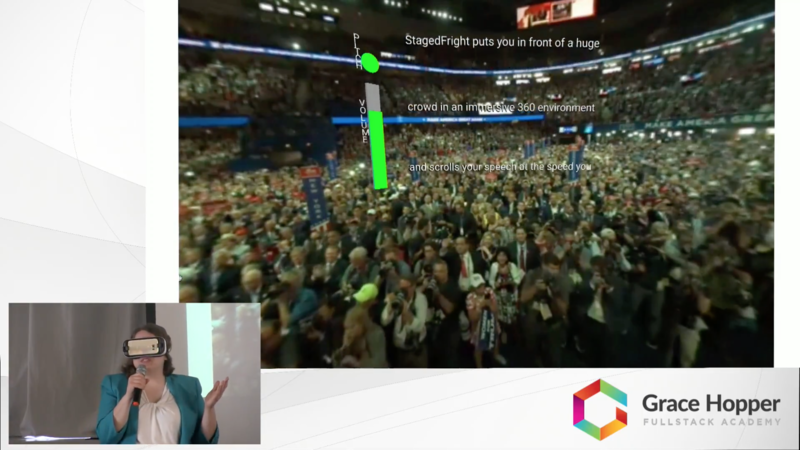 StagedFright puts you in front of a huge crowd in an immersive 360 environment and scrolls your speech on its virtual reality teleprompter. Our app continuously monitors your volume and pitch as you speak and uses those values to give you real-time visual feedback telling you if you're being too quiet or monotonous. You have the ability to either use your own speech or select an American classic. In either case you can specify the speed of the text scrolling before you enter the VR experience, so that it can be adjusted to your preferred cadence.